Bart - The One and Only was a Bart Simpson fansite. 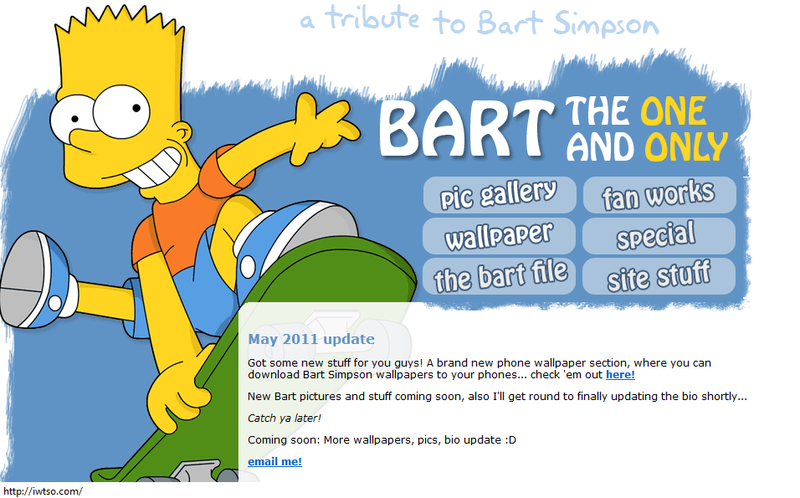 The website includes Bart pictures and fan art. There are also a lot of miscellaneous things on the site as well as a biography for Bart and places to download wallpapers. As of February 2013, the website no longer exists. Modified on March 4, 2013, at 18:02.